Beverley Garratt has, for many years, been a passionate advocate for the work we do. 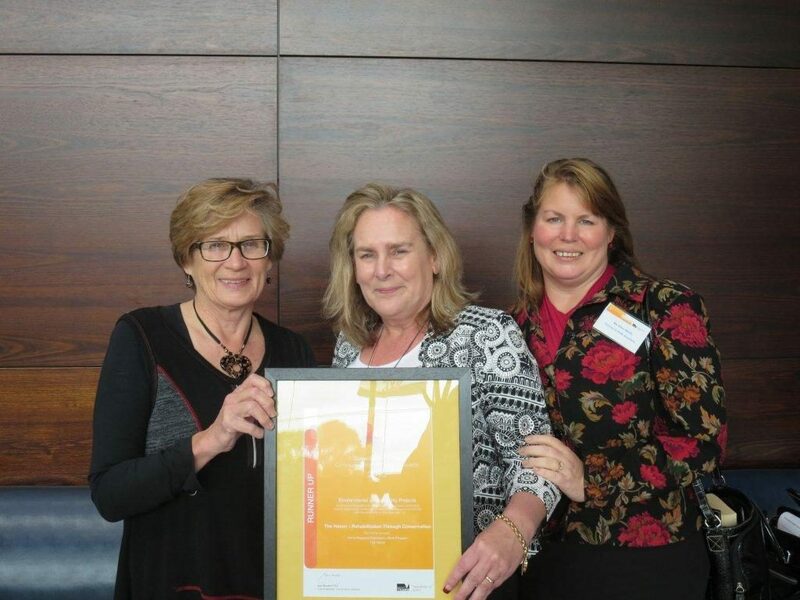 She approached us in early 2012 with a unique fundraising idea, Arresting Recipes, which raised money for CIKA and resulted in the South East Metropolitan Region Community Work Team being awarded second place in the 2013 Corrections Victoria Community Work Partnership Awards. Scroll down to read Beverley’s description of this initiative. In July 2012, the South East Metropolitan Region Community Work Team and the Jesuit Community College commenced discussions around developing an innovative unpaid educational community work program. 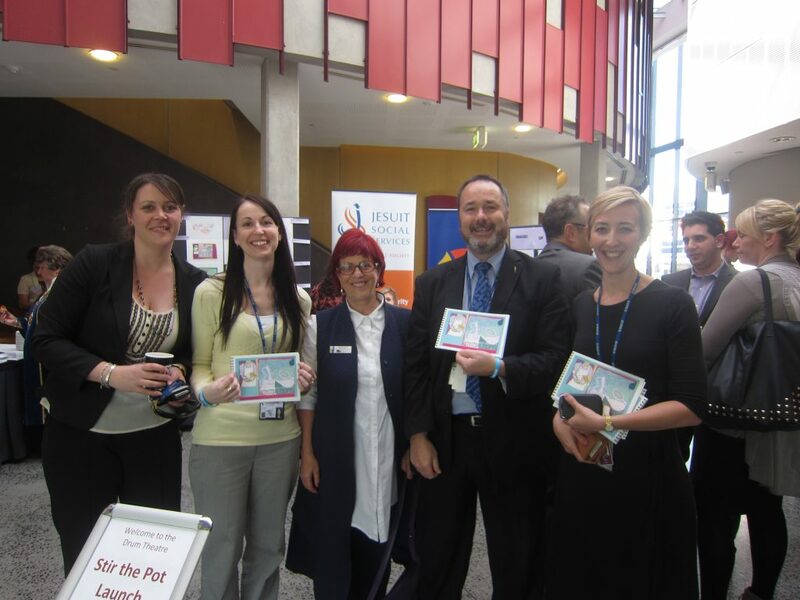 Following these discussions, the “Stir the Pot” community work program commenced in October 2012 with a goal of creating a recipe book, Arresting Recipes, with the total sales of the book being donated to Cancer In Kids @RCH (CIKA) to assist with research into children’s cancers at the Royal Children’s Hospital. This unique community work program provided women on community-based correction orders an opportunity to learn new skills whilst working together on a project that would have meaningful benefits for the community. The female participants in the Stir the Pot Program worked extremely hard to produce the Arresting Recipes book and were highly motivated to give their very best in their efforts to contribute to such a worthy cause. There was also a section in the book where the participants wrote their stories and talked about what they gained from attending this program. Arresting Recipes could not have been created without the dedication and commitment of the women involved in this special unpaid community work project and their ‘we can do this’ attitude was commendable. Not only did the women learn new skills, they also took on the challenge of planning, organizing and providing the MC coverage for the official launch of the book, which involved presenting to an audience of sixty people. This was something that they had not done before and highlighted the increased confidence and self-esteem gained by the women. 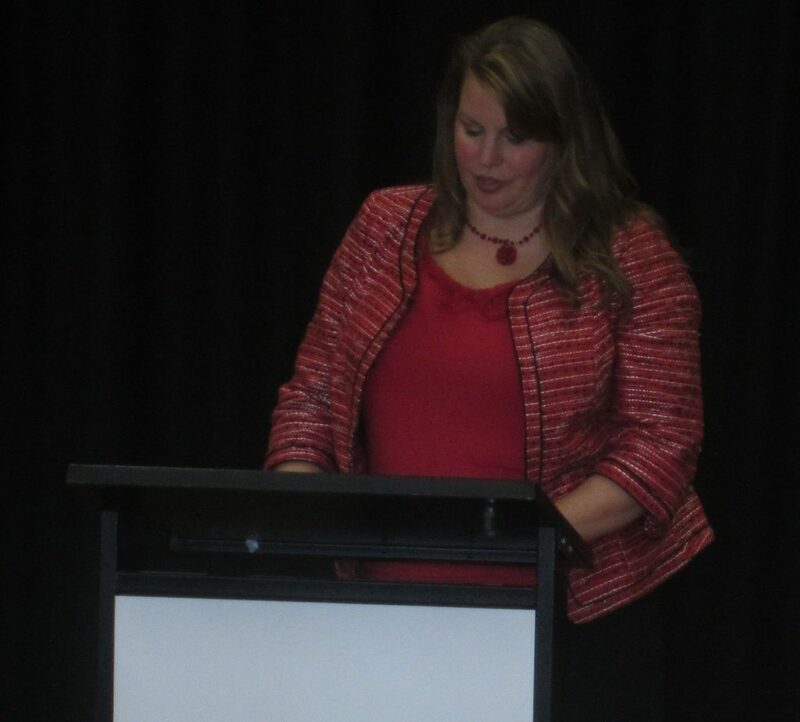 Ms Gabrielle Levine, Regional Director -South East Metropolitan Region Department of Justice, officially launched the book at the Drum Theatre in Dandenong on 4th October 2013. The Drum Theatre kindly donated this fantastic venue for the launch, which was also attended by Councillor Angela Long, Mayor of the City of Greater Dandenong and Magistrate Fleming, Coordinating Magistrate, Dandenong Magistrates Court. This was a fantastic experience and achievement for everyone involved. Five hundred copies of the Arresting Recipes cookbook will be sold through the Jesuit Community College with all proceeds being donated to CIKA. 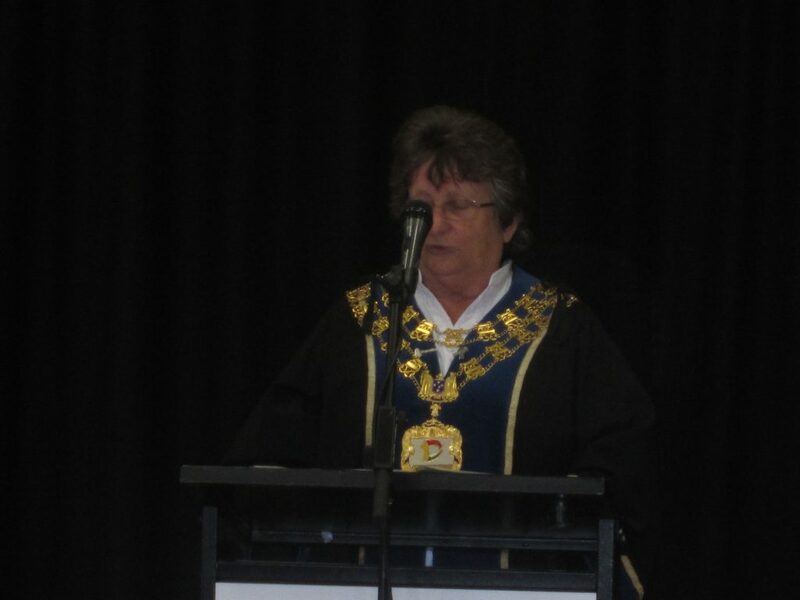 Mayor of Greater Dandenong, Cr Angela Long. CIKA vice president, Ellen Webb. Our thanks to Beverley, her supporters at work and especially to the women who participated. CIKA was well represented at the launch and we extend a special thank you to Vice President Ellen Webb who spoke on behalf of the organisation. Footnote: The project was runner up in the Educational Institution Program. 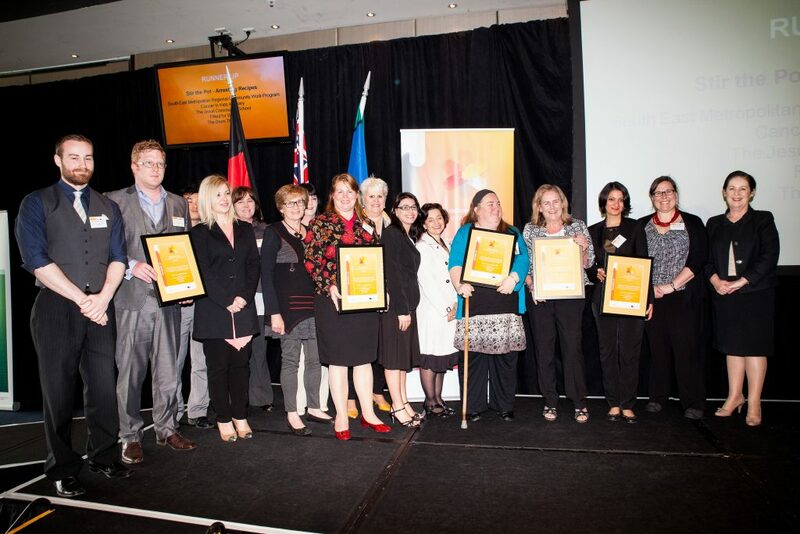 The certificate was presented at the annual Corrections Victoria Community Work Partnership Awards ceremony at the Melbourne Cricket Ground on November 20. Here is the team proudly displaying the well deserved award.